So, I thought I’d be planning out my Thanksgiving recipes today. Then I started reading through one of my recent Christmas board pins. It was linked to a list of “49 Things That Taste Like Christmas” and that was where I found two new cookies for this year’s Christmas Baking list. Candy Canes and Cake Batter, Yum! One of them is the Candy Cane Cake Batter cookie shown in the pin. 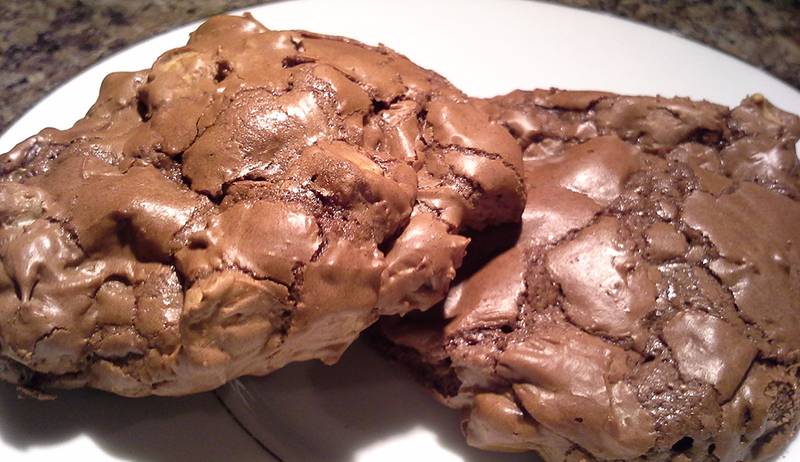 The other is a sandwich style cookie with a brownie like cookie and candy cane butter cream filling. They both look amazing! I’m thinking this year may be a bit more heavy on the peppermint flavor. For a few years it was heavy on the chocolate. While I don’t think there’s anything wrong with all most of the recipes being heavy on the chocolate, I figured it’s good to change things up. One of my favorite, non-chocolate, Christmas cookie recipes is the Candy Cane Cookie. It’s not a peppermint flavor though, it’s an almond flavored cookie. The peppermint comes in to play by way of the candy cane dust sprinkled over the baked cookie. I’ll be following up on those when I start my holiday baking. That won’t happen until after Thanksgiving. Last year’s baking weekend was Black Friday weekend. That means we focused a lot more on candies, fudge, and trying out new recipes. So now I have three cookies on my final list. It’s off to a good start but still nowhere near complete. While I continue building out the list let’s review some favorites from my 2011 Christmas Baking list. It’s November 1st and we are less than two months away from Christmas! I guess that means time to start trying out Christmas cookie recipes. That’s exactly what I just did and am going to share. 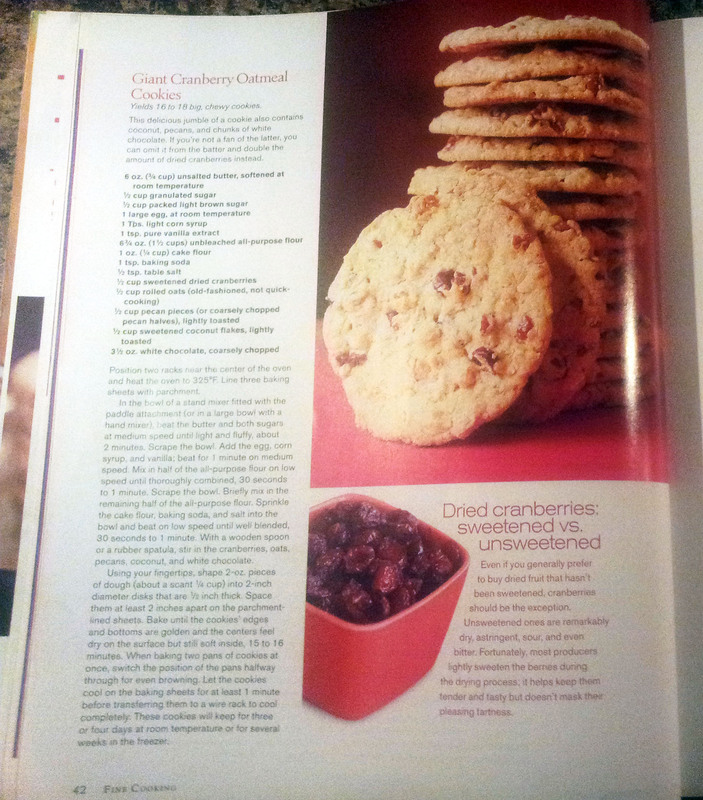 I’ve looked at the Giant Cranberry Oatmeal Cookie recipe in one of my standby magazines a few times now, but it’s a bit rustic for a Christmas cookie. The flavors lend themselves to something more fall-like. Which is why today is a great day for them. We’re moving into the holiday season but it’s still very much Fall. I had everything I needed on hand so I was off and running. I had the dough mixed up in no time. Yes, those are snowflakes on the handle of the spatula. Anyway, I did omit the corn syrup (didn’t have that) and subbed the cake flour with regular. Then it’s time to roll them out. You can see that they’re already looking pretty big. I made half of these without the white chocolate and coconut. The DH requested them that way, so the first batch was for him. This recipe only made about 16 large cookies. That’s a good thing for us as it makes it slightly easier to not go overboard. Slightly. Up next was the loaded batch. 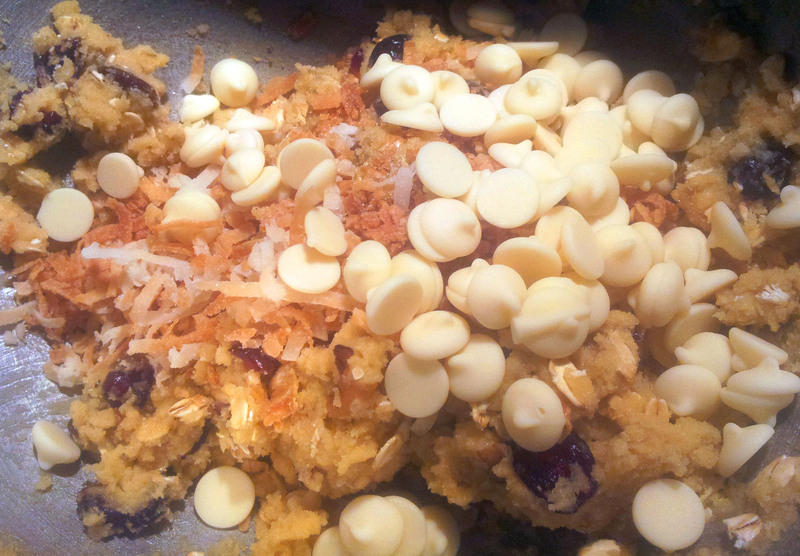 White chocolate and toasted coconut were added. These were really easy to make which is always nice. The flavor was great! 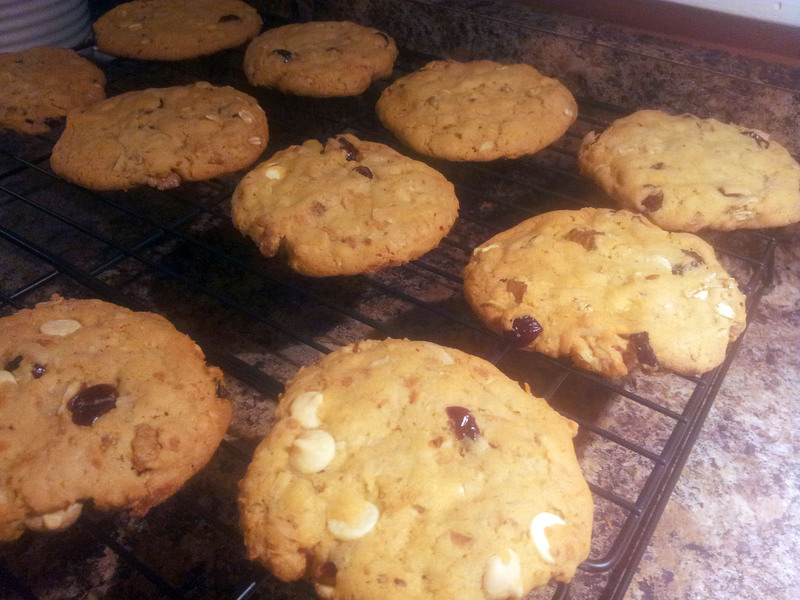 Very fall-like with the cranberries and nuts. I’ll keep these in rotation through Thanksgiving. I could see myself making these the weekend before Thanksgiving when my in-laws are coming over. We’re going to have a pre-Black Friday shopping day and I have been trying to decide what to make for dinner afterwards. These will be a good dessert, very seasonal. Alright, one recipe to try is down! Now, I’m going to go read through my cookbooks for some more holiday recipes to try. The in-law dinner is going to be here quick and I want it to be nice, without being too heavy right before a big holiday. So, yes, it’s just over a week away from Halloween. I should be thinking about “slime-filled” cupcakes and “haunted” cookie houses, but I’m not. I’ll cover those later this week. 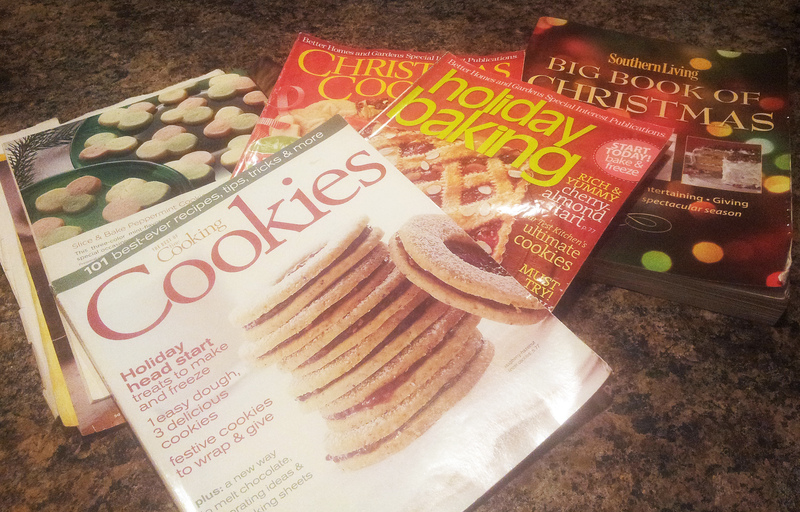 Tonight I’m on round one of Christmas Cookie planning. 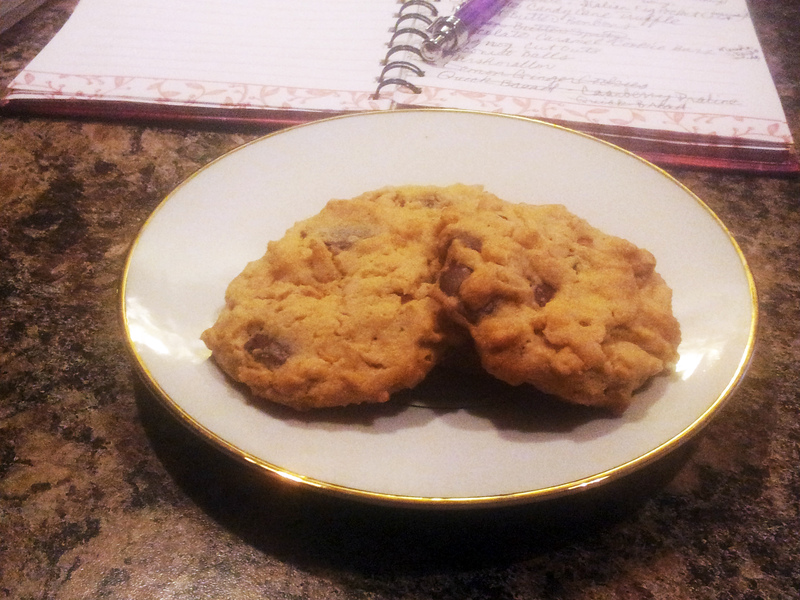 First things first, I need a little cookie motivation. Each year I review my previous year’s lists. I have some traditional cookies that are almost always in rotation. I strayed from this a few years ago and will not make that mistake again. 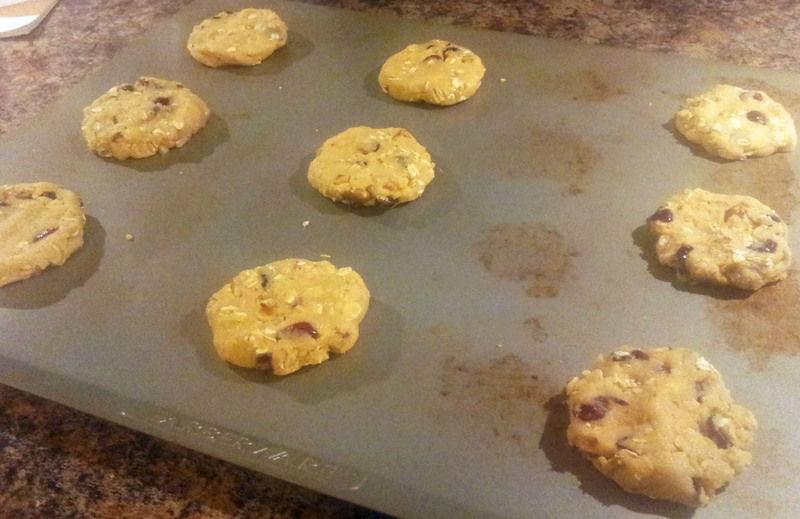 Let’s just say that trying an entirely new cookie recipe list is not a good idea, especially during the holidays. 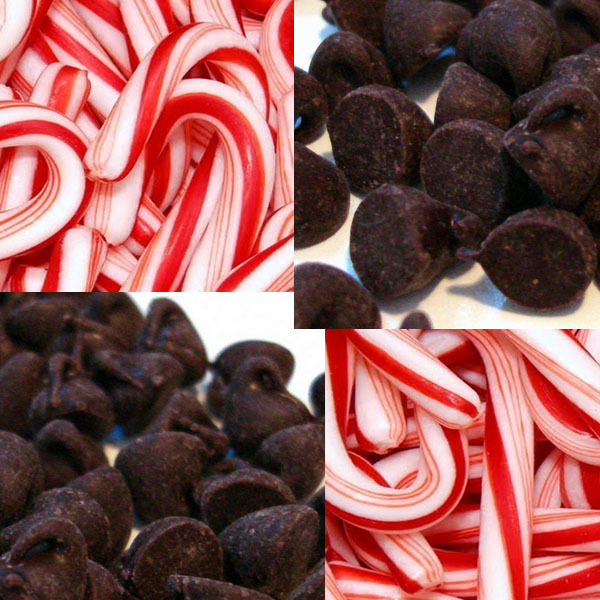 A few tried and true faves that will potentially be on this years rotation include: Candy Cane Cookies, Slice and Bake Peppermint Cookies, and Chocolate Pixies. I can remember my mom making the candy cane cookies when I was a kid. There’s a lot of nostalgia in the taste of those cookies. The others were added within the past eight years or so. Beyond my core list are a lot of possibilities. I get most of my recipes, inspiration, etc. from magazines. 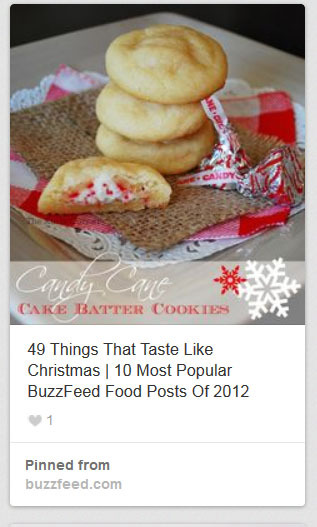 Granted, Pinterest is a strong second in that area. I have the “Best of Fine Cooking – Cookies” edition. 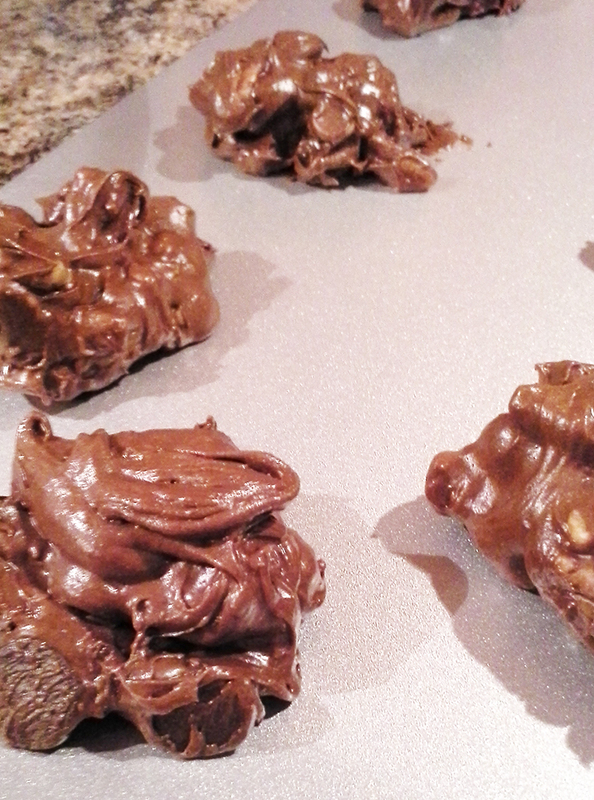 Every cookie or bar I’ve made out of it has been wonderfully delicious! This first round of planning will take a moment. I tend to write down every cookie/bar/candy that looks good. After that I’ll start to whittle the list down. I’ll be adding and then paring down recipes, so in the meantime let’s see a list of what was made last year (well, a lot of what was made). Candy Cane Cookies, Caramel Thumbprints, Double Ginger Crackles, Peppermint Slice and Bakes (cookie shown in the magazine pic above), Vanilla Bean Angel Pillows, Chocolate Souffle Cookies (really good! ), Biscotti – Peanut Butter Chocolate Chip, Sweet Cherry, Cappuccino, and Kolachky – Raspberry and Orange Marmalade. Wow, we’re already halfway through the weekend! I started my weekend early and had a great time with friends at our alma maters Homecoming! Tonight I’m back home and it’s kind of cold and rainy. The perfect night to try a new dessert. I wanted to try something new and have been seeing a lot of caramel apple cookie recipes. I wasn’t in the mood for something as sweet as caramel but liked the idea of an apple cookie. 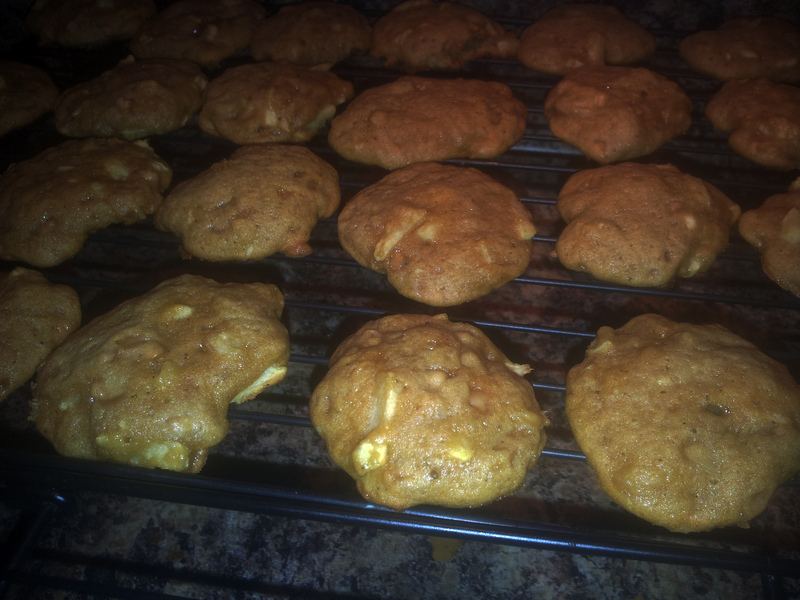 So, since I happened to have toffee bits, I decided to adapt them to a toffee apple cookie. 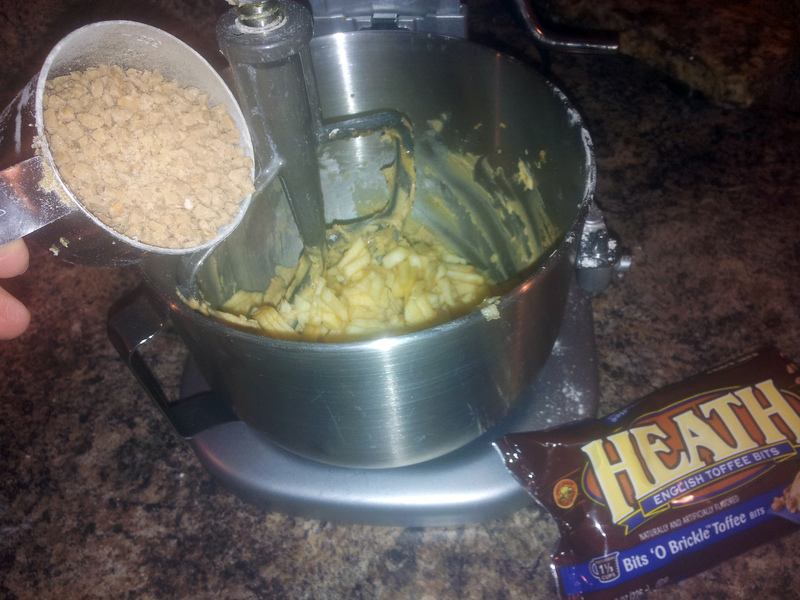 I made a couple of changes to this recipe, Caramel Apple Cookies at Midwest Living. 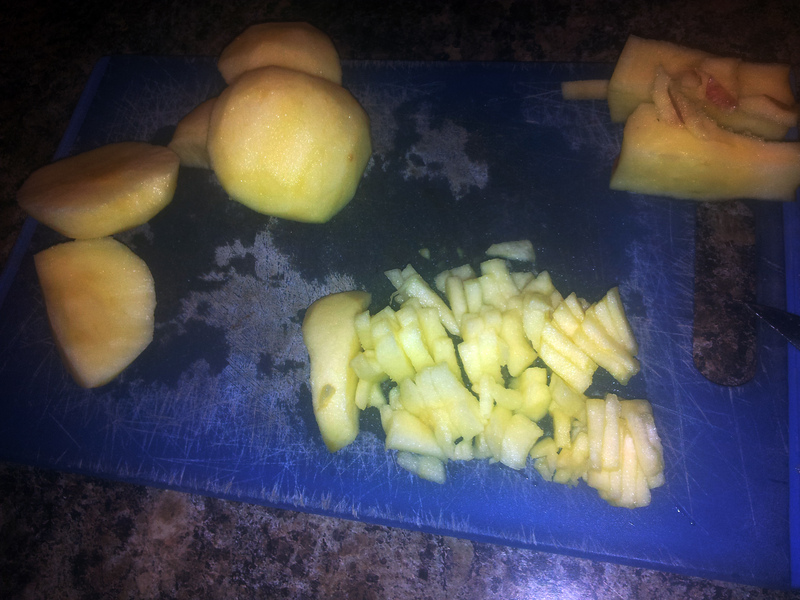 One of them was to dice the apples rather than shred them. 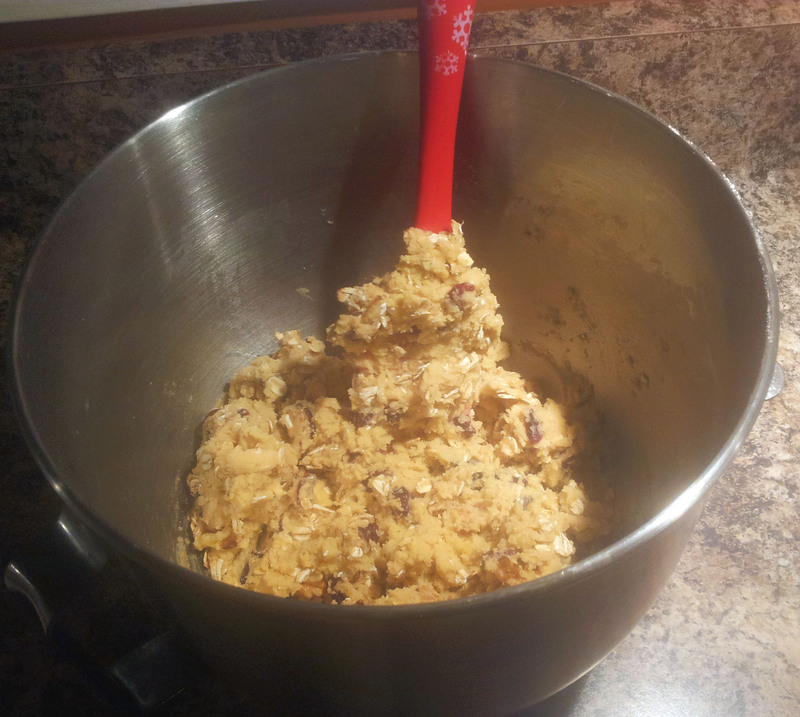 I also added toffee bits. I wanted the sweetness along with the candy crunch. I didn’t do the caramel topping as I didn’t want an overly sweet cookie. 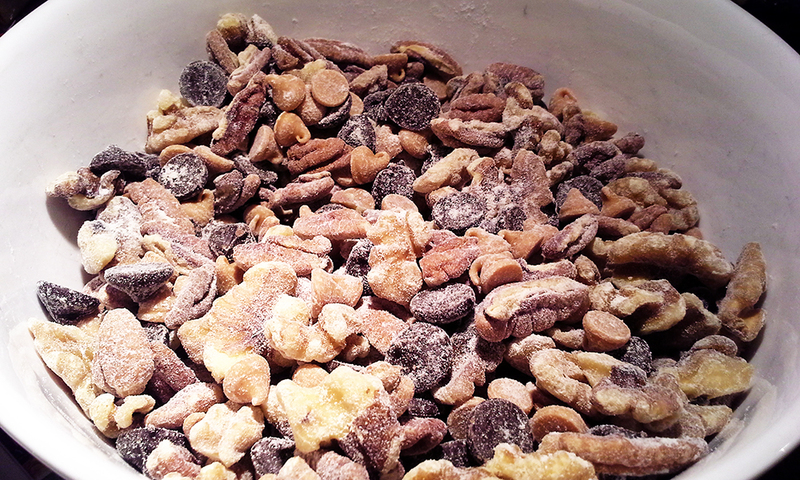 Good thing I didn’t either, because the toffee bits added plenty of sweetness. I’ll keep these in rotation going forward for a nice fall dessert. I think they’d also be good with some chopped pecans, which I’ll add next time. Halloween is coming quickly and I have a couple of events that I’ll need to plan for. So we’re going to be planning and making some Halloween themed desserts plus one savory dish. I’m pretty excited about them, so get ready for some scary good recipes!